Emilie and Connor were both raised in households that valued community and family above all else, so it’s no surprise their Union/Pine wedding was based around the simple idea of having people over for dinner. Using couches, long dinner tables, simple place settings, and décor from their own home, they transformed the modern venue into a cozy and intimate environment worthy of their dinner party style event. Good Seed Floral created some stunning floral and garland installations above the ceremony space and the dessert table, which added a dreamy level of romance to the otherwise minimal centerpieces and table décor. Karra Leigh Photography did an amazing job capturing every heartfelt detail and, most importantly, the pure love between this sweet couple! My dress was quite literally pieced together by me – it was actually three different pieces from three different companies! I really wanted it to be unique and “me,” so that’s just how it happened. The bodysuit was completely custom made for me by a company off Etsy and made perfectly for the vintage and delicate look I was aiming for – plus it was (miraculously) perfect for the skirt! Two piece wedding dresses are definitely more common these days, so it’s really fun to be able to put together your own! Also, I always wanted to rock dark lipstick on my wedding day. Funny, because I never wear dark lipstick! Like, ever. I aimed for all else in my look to be delicate, so that lip color was a fun bold move! Early on in the wedding planning, my mom asked a simple question: “Why don’t you just invite whoever you’d have over for dinner?” That really clicked and stuck with me, and it became the entire heart and theme of our wedding! Connor and I are both very relational beings and were raised in homes with parents who modeled hospitality like no other – doors were always open, guests were coming in and out all the time, and family dinners were an every day staple. This value of keeping the theme “just having people over for dinner” made the entire wedding planning process simple, heartfelt, and, most importantly, US! In all the planning, the goal for our wedding day to have the feel, intimacy, and atmosphere of everyone being in our own home. The cocktail area was set up to look like a living room, the dinner was family style, and the reception room was decked with frames and decorations from our own home. This was truly the “heart” of our wedding and it was definitely the most important thing to us! We really aimed for the wedding to have no particular theme but to just truly resemble us! The color palette was soft, romantic, and artistic – lots of light pinks, creams, pastels, taupes, textures of all sorts, and greenery. We also had the occasional pops of color, like the orange kumquats in my bouquet, I LOVED those! We knew this entire day was really about what was taking place in this ceremony, so we wanted to hold the greatest value there. Connor and I aimed to invite friends and family who’d been most involved in our lives and during the ceremony shared our “mission statement” as a couple with them. It was who we feel called to be as a couple. We shared it with the hope that our guests would be with us in it and encourage us to keep to that throughout the course of our marriage. It was heartfelt and was really important to us to be able to do that. I would tell any engaged bride I come across to not plan a thing until you figure out really how you want your wedding day to reflect who the two of you are. THEN start planning! 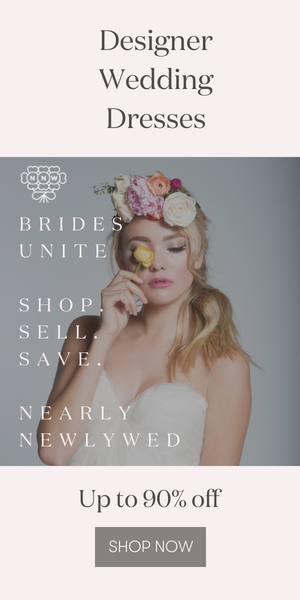 In my opinion the wedding industry can be so overwhelming. Pinterest and social media pull you a million directions and it’s really hard not to compare. Once we found the heart and value of us as a couple and decided to make our wedding “family style and home-y”, every single decision stemmed from that (not who we were trying to be or trying to look like). It resulted in an entire day that was just us, and the amazing thing was is so many guests said exactly that on our day! The dinner was hands down the most memorable part of the day! We had an amazing caterer who helped us and guided us to even serve our food in a way that reflected us. Since our wedding motto was “having people over for dinner,” the dinner was definitely the most memorable part. We had all the tables set out to be as connected as possible, food served family style, and no seating assignments! We wanted it to be as close to a “family dinner” as we could possibly make it (with 130 guests, of course). We also had a wine hour before our ceremony, which was so fun! It allowed people to relax and enjoy each other’s company leading up to the wedding and even enjoy a beer or a glass of wine during the ceremony! Congratulations to Emilie and Connor, and an extra special thanks to Karra Leigh Photography for sharing these gorgeous wedding photos with Junebug! Love the idea of a dinner party style wedding? Then you’ve got to see this modern romantic dinner party wedding at The Ravington! Beautiful wedding! Can you tell me what the white cluster-like flowers are that you used throughout? They are gorgeous!! Most beautiful wedding I’ve ever see . Love your guestbook so much…where did you get it made? I actually made Emilie’s guest book! I make them custom if you ever need one. I’d love if JuneBug could link my shop in their post. Hopefully I can contact them to edit as I’ve gotten a few people from Pinterest who only found me by extensive searching with the photo they have posted. I found your site linked in your comment name and just added your credit to the post! Thanks Nicole! Though “Heart” is actually spelled “Hart.” I appreciate you adding it in there for me! So much love. Your photo album is absolutely STUNNING it would be a perfect add to my wedding! if you could please send me or attach your contact info so I could purchase one, I would GREATLY appreciate it! HOPE to hear from you! Hi! Beautiful wedding and amazing dress! Where does your dress come from? I love the top with the embroded flowers on it! My dream-dress! Hi! The pictures from this wedding are absolutely beautiful. Wondering where the outdoor pictures were taken?